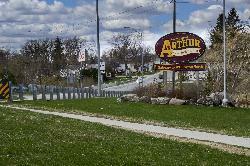 The official welcome sing to the town of Arthur Ontario. Located at Highway 7 and Wellington County Road 109. The sign says 'Gateway to Wellington North'. As of 2015, Arthur is considered a village. Back of Gravenhurst Welcome Sign on Muskoka Road. The back of the Gravenhurst Welcome sign on Muskoka Road. The back of the sign wishes you a safe return. 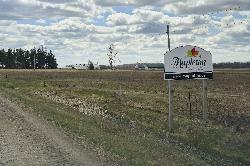 Welcome sign for the town of Beeton Ontario. Heading eastbound along county road 1, also know as the 8th line. 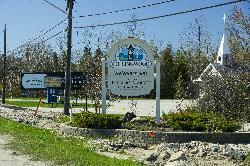 Welcome sign for Bracebridge Ontario. Taken on Taylor Road after exiting highway 11. 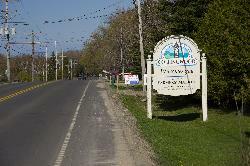 Photo of Collingwood Ontario Canada welcome sign. Approaching Collingwood from the west on Highway 26. County of Simcoe and Collingwood population signs are in the distance. 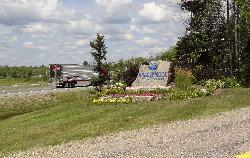 Photo of Collingwood Ontario Welcome Sign on Highway 26 westbound near Lakeview Avenue. 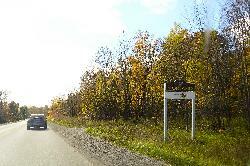 Photo of Collingwood Welcome Sign on Mountain Road driving East. Located at the intersection of Osler Bluff Road and Mountain Road. Community of Stroud welcome sign. North on highway 11. 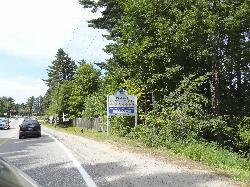 Community of Stroud welcome sign, along highway 11. 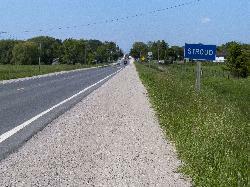 Stroud is a community in Innisfil Ontario. 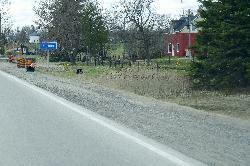 Welcome sign for Dorset Ontario, along Highway 35 heading south. 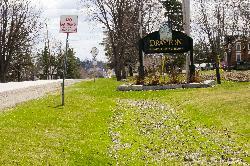 The welcome sign for the community of Drayton Ontario heading south on Wellington street, which is also known as County Road 11. 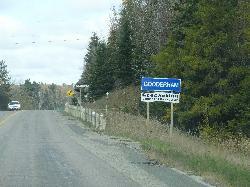 Gooderham town sign ,travelling north on County Road 507. Gooderham is located in the township of Highlands East which is in Haliburton County, Ontario. 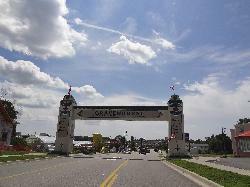 Archway over Muskoka Rd, welcoming travellers to Gravenhurst Ontario. Sigh also say it is the Gateway to Muskoka Lakes. 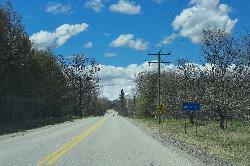 Photo of Haliburton County boundary limits sin while driving north along County Road 507. Located in Ontario Canada. 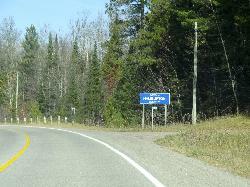 The town limits sign for Keldon Ontario. Keldon is located in Southgate Township, which is on Grey County. 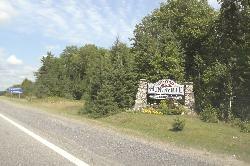 The town limits sign entering Mansfield Ontario. Travelling west along County Road 17. Mansfield is located in the County of Dufferin. 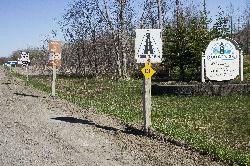 The Mapleton Township limits sign, travelling southwest on Concession Road 12. Located in southern Ontario Canada. 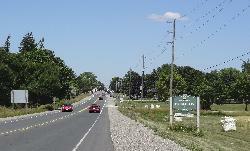 Heading south along Perth County Road 121 is the village of Millbank. Location in Perth Township. 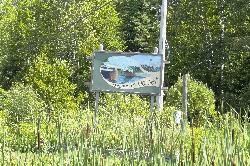 Photo of the town limits sign for Norland Ontario. Located southbound along County Road 45. 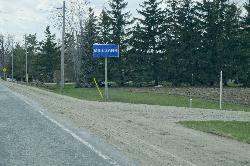 Located in city of Kawartha Lakes, formerly Victoria County.